You don’t fully appreciate the ability to communicate until you transplant yourself into a foreign country. I’ve been here for 3 weeks now and I can say that moving here has been the equivalent of becoming an absolute moron overnight. 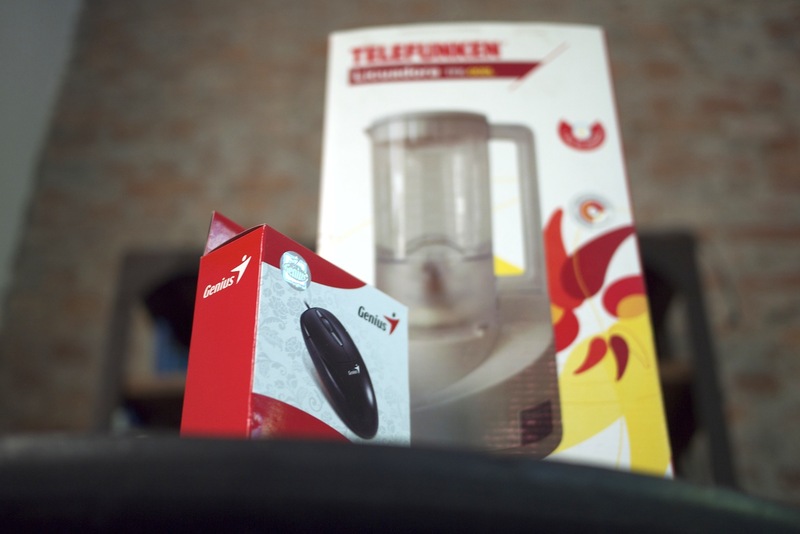 This story chronicles my quest to buy a blender. I had decided to move to Buenos Aires a few months back – 18 months after reading The 4-Hour Work Week and automating my life. It was a bit of a random choice…I might have checked out the Wikipedia page once or twice, but that was the extent of my research before choosing it as my new home. It was a logical choice – after all, I took Spanish for 7 or so years before going to college. I was a good student – one of the better speakers in the class despite being a bit of a slacker (understatement). Sure, it had been 8 years since I graduated high school, and I hadn’t spoken hardly a word of it since then, but I figured it was like riding a bike. Besides, this isn’t Africa. Argentina is a modern, developed country – I figured everyone would speak English and I’d have to make an effort to remember to have some conversations in Spanish. Cab driver: Where are you from? Me: I move to Buenos Aires three weeks (point thumb behind me emphatically). Cab driver: You’re here for 3 weeks? Me: No, I live in Buenos Aires. Sorry, I can’t talk in the past. Cab driver: (sympathetic look) It’s OK, I understand. The conversation would end pretty quickly after that. It became apparent to me that people thought I had some sort of traumatic past that I didn’t want to bring up. This was frustrating at first but became a great way of escaping a conversation that was becoming increasingly difficult to carry on, since I was constantly confusing words and didn’t understand much of what the other person was saying (I mixed up the word aprender [to learn] with the word enseñar [to teach], so for the first week I was proudly telling everyone I met about my plan to teach Spanish in Buenos Aires. This generated some dubious expressions). Restaurants were another challenge entirely. The word for table is “mesa” and the word for month is “mes,” and I more or less used the two interchangeably. Sometimes I would ask a waiter if there was a month available, and sometimes I would tell people that I plan to be in Buenos Aires for six or twelve tables. Hilarity ensured when I mixed up the masculine and feminine forms, asking for a table for one girl (me). The hostess laughed so hard that someone else had to show me to my month…I mean table. Whatever. It took me a good 5 minutes to figure out what went wrong, and looking back, I find this quite ignorant on her part considering the thriving local transvestite population. a. I only have a mini fridge. Incidentally, I thought this was a dishwasher when I saw photos of my kitchen. b. Buying groceries has been a disaster. Apparently there is a conspiracy in the US to convince people that milk and eggs need to be refrigerated in the supermarket. c. My apartment has cockroaches. I figured this was normal in Argentina and I took to them as roommates, but after talking to a local yesterday, it became apparent that this is not normal. So, I figured a blender would be a good start to solving the breakfast dilemma. Lunch and dinner would have to wait. I struggle to find an analogous situation in the US to taking on a seemingly elementary task like buying a blender. You can laugh if you want, but the closest thing I can think of is recovering from some sort of injury or surgery – you used to run marathons, but now you struggle just to walk to the kitchen. It’s a complete system reset – it’s enormously humbling to be nervous to shop for an appliance. You start to realize that taking on these challenges opens up new and exciting doors. Once I conquered buying a blender, I’d have a whole new set of obstacles ahead: figuring out the difference between milk in a bag (refrigerated), milk in a bottle (available both refrigerated and warm on the shelf), and milk in a box (shelf variety only), trying to find peanut butter or whey protein, or returning my blender when it inevitably breaks. My friend accompanied me to Alto Palermo, a big shopping mall near my apartment, and helped me buy a local cell phone. We parted ways and I trolled the mall hoping for an appliance store, finally finding not one, but TWO appliance stores on the third floor. I took a deep breath and strolled into the first, Fravega, with an air of confidence. I’ve translated the conversation for those of you who, like me, are embarrassingly monolingual. Salesman: Hello, what can I help you with today? Me: Hi. My name is Zack (I like to start off with things that I know how to say, even if they are out of place. It helps build momentum). Nice to meet you. Salesman: My name is Martin. Nice to meet you too. The salesman proceeds to ask if I live here or if I’m just visiting, and I explain that I live here for 3 weeks, and I can’t talk in the past…he looks confused but nods along. Salesman: (begins to speak rapidly and walks me over to a wall of appliances…I pick up a few words here and there and after asking “what?” a few times, I realize that he is saying that they only carry one blender). Me: This is the only blender? Salesman: Yes. No one uses blenders in Argentina. Me: OK. I go and…(vaguely gesture that I will walk around and come back. He nods). I take a walk to the other store, where I realize that I’ve already forgotten my newly discovered word for blender (need to start writing these useful words down). I use my trusty sign language again and discover that they don’t carry any blenders, and he independently confirms that no one uses them in Argentina (I’ve since discussed this with my Argentine friend, and she says that blenders are very popular here. I’m not sure if there’s a conspiracy to convince me that I’m weird for wanting a blender, or more likely, that I’m misunderstanding whatever they are trying to tell me). I decide that the original blender is my best bet, and I go back hoping to find my new friend Martin, as I’ve once again forgotten the word for blender (really need to start writing these things down) and am in no mood to play charades for a third time. After lingering by the juicer/processor/blender wall for a while (waiting for service is an Argentinian national pastime), a new guy comes up and asks me what I need. Pointing to the blender suffices this time. He says something that I don’t understand, walks away, and returns to tell me that they only have 1 blender, which I tell him I already know. After a few words back and forth, I realize that the one on the shelf is the only blender left in the store. Excellent – this opens the door to negotiation…my time to shine. I briefly fantasize about bragging to my friends about getting a discount on my blender, as I had told them all about my planned blender hunt the day before. Salesman: We don’t give discounts on blenders. We can only give discounts on floor models for things like computer mouses, because they get worn out. No one is using the blender on the shelf, so it’s just as good as a brand new unit in the box. So, we can’t give you a discount – I’m sorry. Now that we’re on the same page, he goes into the storeroom to get my box. As he’s ringing me up, I see him scan a computer mouse. My heart sinks as I realize that my made up dialogue was completely inaccurate. I try to tell him that I don’t need a mouse, and he vomits an unintelligible string of Spanish towards me. One word – ‘regalo’ – sticks out as vaguely familiar, and I say it back to him with a confused look on my face. I’m eventually able to figure out that ‘regalo’ means gift, and though I’m completely confused how these two things are related, I leave with a glowing sense of self-satisfaction over my successful negotiation and interaction – despite having the vocabulary of a two year old (generous) and only being able to speak in the present tense. The mystery relationship between the blender and a mouse is just a small example of the strange culture and complete randomness that I’ve observed here – such as lamb-flavored potato chips and the fact that it’s normal for young couples to meet up in sketchy, themed motels-by-the-hour (called ‘telos’) because they live with their parents. Tim Ferriss said that “[t]hough you can upgrade your brain domestically, traveling and relocating provides unique conditions that make progress much faster.” I didn’t really understand what that meant until I moved here. As I laid in bed awake last night – on an exceedingly rare occasion that I can’t sleep – I thought back on my daily challenges for the past few weeks. Though seemingly mundane, having a challenge every single day – whether successfully ordering a meal or buying a blender – makes every day more rewarding. I sat down and made a quick list of times in the US that I felt this sense of accomplishment – the feeling of conquering a new obstacle or skill – and I was surprised by how seldom it happened at home. Most of the examples I could come up with were physical – “getting up” on a wake board for the first time, finally getting the hang of a perfect kettlebell swing, finding my rhythm on a speedbag, or learning to stretch out a pizza dough into a circle without breaking it. When you’re a kid, these things happen to you all the time. Your first crawl, your first step, your first word…riding a bike, learning the alphabet, playing your first sport. As you get older, mastering a new skill happens less and less frequently. For me, I’d say I averaged one minor victory – like wakeboarding – every 3-6 months. I’d imagine it’s the same for most people, which is a shame, as I realize now that it’s one of my favorite feelings in the world. The movie “Yes Man” was a cheesy example, but the message is good: getting out of your comfort zone can enrich your life and bring you places you never thought possible. The thrill of my small daily victories in Spanish are going to wear off soon, and I plan to make a point of turning my focus to mastering more difficult skills – maybe racing school or learning some sort of martial art. But first, I have to find peanut butter.